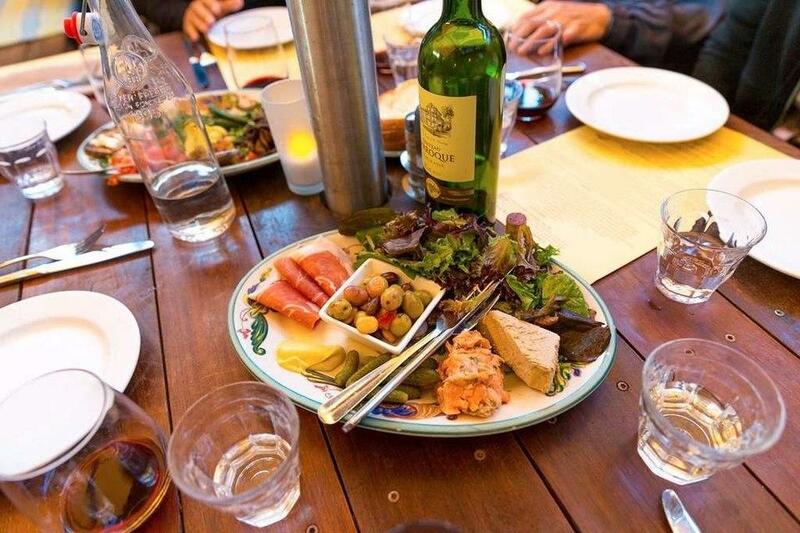 After visiting Cole Valley, you can look over the menu at this restaurant. 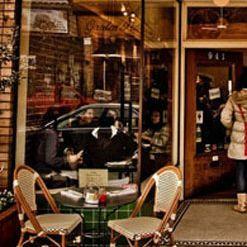 Try French cuisine at Zazie. 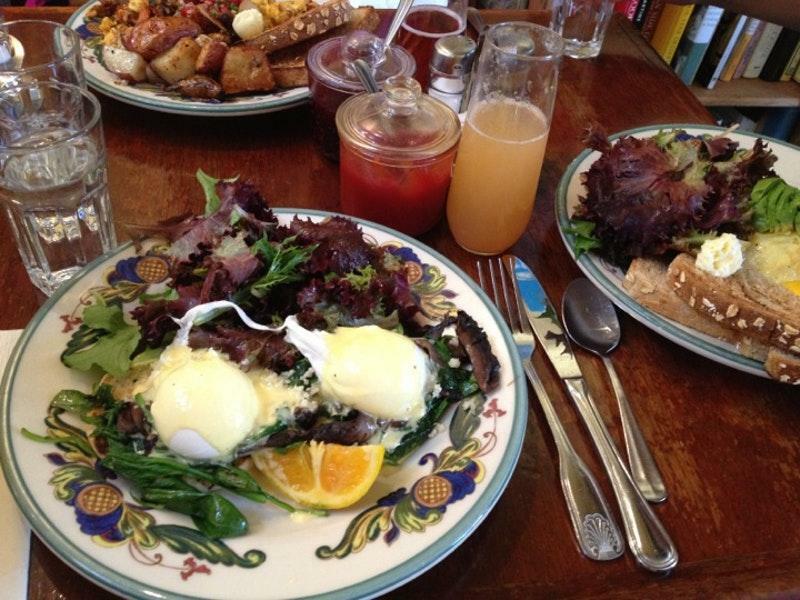 This place guarantees you perfectly cooked duck leg, moroccan lamb and eggs benedict. Do not leave without eating good French toasts, French pancakes and bread pudding. Delicious Mimosas, champagne or port wine are waiting for you at this spot. Order the great chai latte, mango juice or hot chocolate offered here. This restaurant is well known for its great service and friendly staff, that is always ready to help you. Based on the reviewers' opinions, prices are attractive. There is a pretty atmosphere and divine decor at Zazie. This place began attracting its visitors thanks to the Zomato rating of 4.4. I was excited to have breakfast in SF as I was visiting from a town where the restaurants aren't very good. Disappointed by my meal at Zazie. I ordered standard fare of eggs, chicken sausage, potatoes, and toast. They managed to poach the eggs OK, but chicken sausage a mediocre brand, potatoes were LOADED with garlic (3 whole cloves on my plate), and the biggest sin: cold toast. Coffee was mediocre. Service was... OK. It's been a while, and I had forgotten how great Zazie is! We got a nice mix of savory + sweet dishes & shared them all, enjoyed all of the food! THE WAIT: Estimated to be about 40 minutes on a Friday at 11am, but it ended up being only about 20 minutes. THE SERVICE: Friendly! THE COST: $65.10 total (they explicitly say no tips expected; it's built into the food cost!) for brunch for three. Very affordable! THE FOOD: * Miracle Pancakes (brunch special, 3pc $23) - 4.5 stars These were amazing! 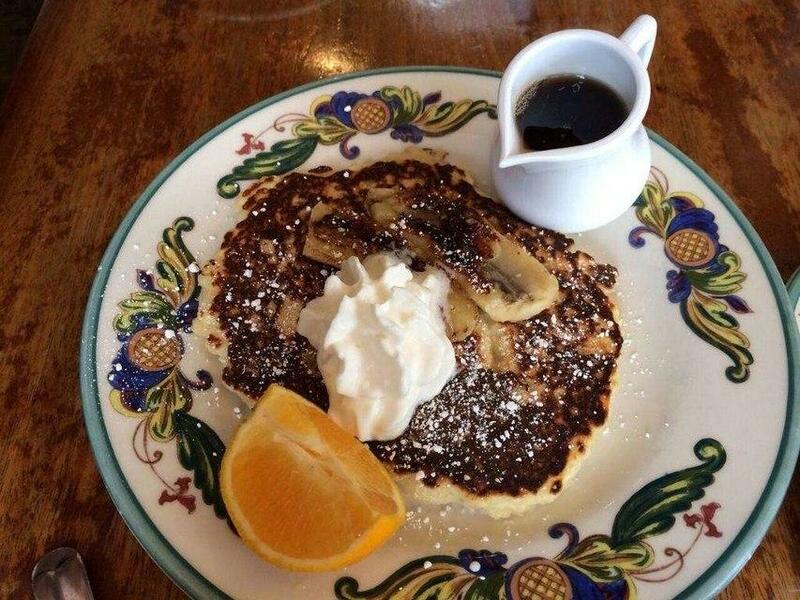 Bread pudding pancakes - how could we resist? Very moist, and I love the texture. * Eggs en Font (brunch special, $18) - 4 stars Great flavor on the potatoes. Nice runny egg, great spinach/mushrooms in a tomato sauce. * Eggs New York (scrambled, $19) - 3.5 stars Eggs were soft, potatoes once again great, salmon maybe not the most fresh. Toast a little dry.